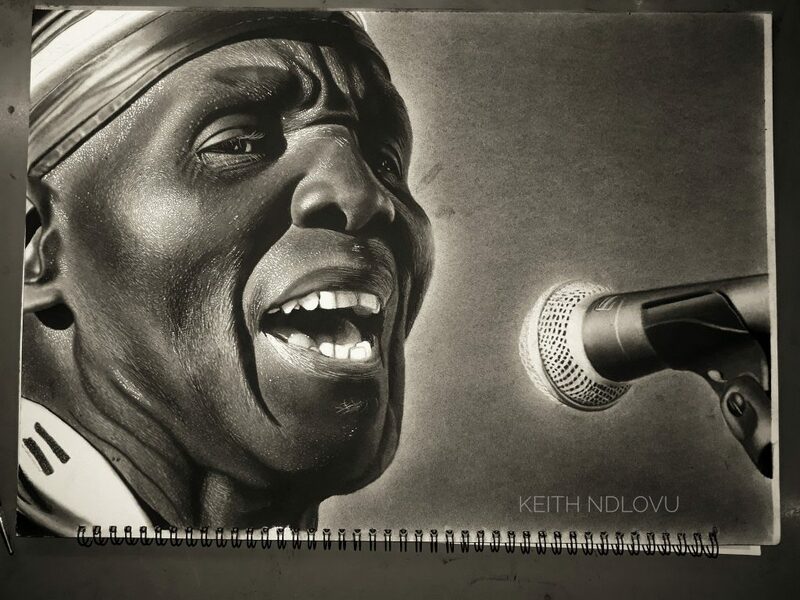 An artist, Keith Ndlovu, created a drawing of the late music icon, Oliver Mtukudzi, and he’s auctioning it using Twitter. Ndlovu has said that 40% of the proceeds from the auction will go to Oliver Mtukudzi’s Pakare Paye Arts Center in Norton. 2/3 THIS DRAWING WILL BE SOLD TO THE HIGHEST BIDDER HERE ON THE COMMENTS SECTION. 40% of the proceeds will be donated to Pakare Paye Arts Centre. A centre that Dr Oliver Mtukudzi established to promote and nurture young talent. 3/3 Make sure to clearly state the currency of your bid. Details for payment and delivery will be discussed with the winner of the bid. Bid open. Bid ends Wednesday 6 Feb 1800hrs!